Stonecutters Lodge is a conference, trout fishing and holiday venue. This 4 star-graded lodge offers you various types of accommodation and excellent conference facilities. Nestling in the Mpumalanga Highlands between Dullstroom and Lydenburg, Stonecutters is a 2 and a half hours drive from Johannesburg International airport or a 45 minutes charter flight to Lydenburg airstrip. A Chef-de-Cuisine provides cuisine of the highest standard catering to the needs of delegates in a choice of menus and special dietary requirements. Stonecutters Lodge offers self-catering accommodation in Dullstroom for up to 22 guests sharing in comfortable family houses. All of the houses come equipped with modern amenities and is guaranteed to make you feel at home. Whether you are organising a company conference in Mpumalanga, a celebratory special occasion or get-together, or you are looking for excellent trout fishing, Stonecutters the perfect destination. 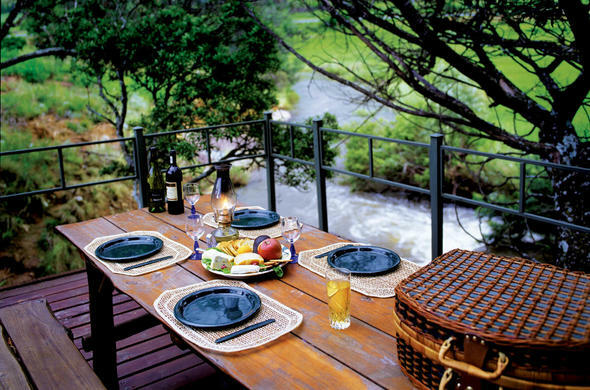 Stonecutters is an ideal stopover for the Kruger National Park and many private game lodges in the Mpumalanga and Limpopo provinces.